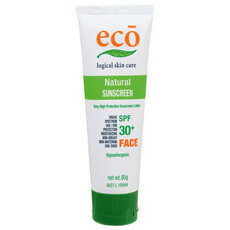 A gentle, all natural broad spectrum sunscreen SPF30+ specifically made for delicate baby skin. 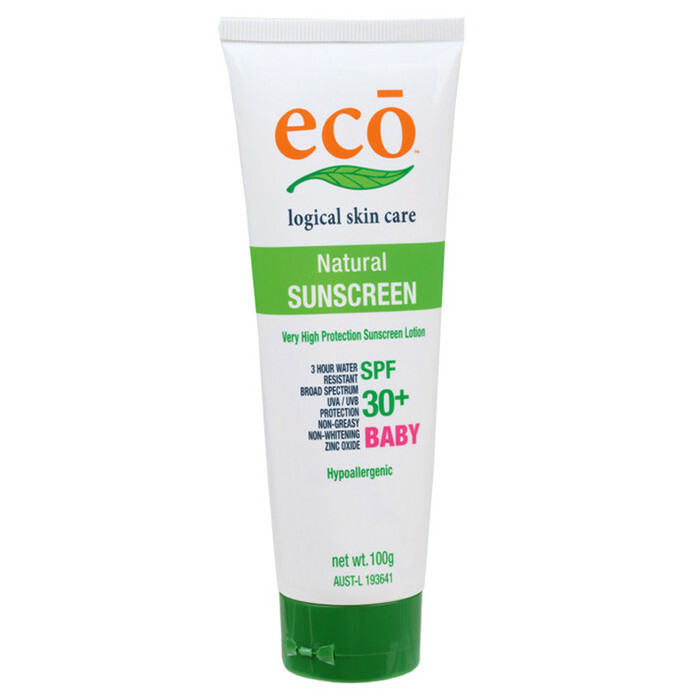 Eco Baby provides the same level of UV protection as the original Eco BODY and is also just as water resistant. But it is even more moisturising and nourishing for the most gentle and sensitive members of your family. 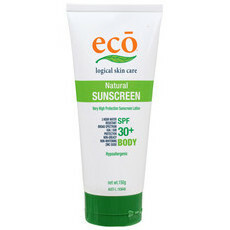 This sun protection lotion is suitable for adults and children of all ages. For young children under 6 months please check with your healthcare professional before using (and always keep baby out of the sun). Rich in beautiful skin loving ingredients including Shea butter and Jojoba, Avocado and Carrot oil. UVA and UVB protection. Beeswax, Jojoba Oil, Shea Butter, Zinc Oxide. It does the job well even in the surf. Suitable for overly sensitive skin. However it is not light, feels a bit sweaty and suffocating. Love this! Great for babies.